The elimination of a tax rebate program on July 1 may push landlords to reopen stretches of empty storefronts along Queen Street East in the Beach. It may be hard to believe in a neighbourhood with so many empty storefronts, but Andrea Orazi says when she was looking for a space to set up her vegan ice cream shop in the Beach, she had trouble finding a landlord who would rent to her. "We just couldn't get in touch with them," she told CBC Toronto, adding that she couldn't even contact landlords with "For Lease" signs in their windows. "At one point we were going to give up." 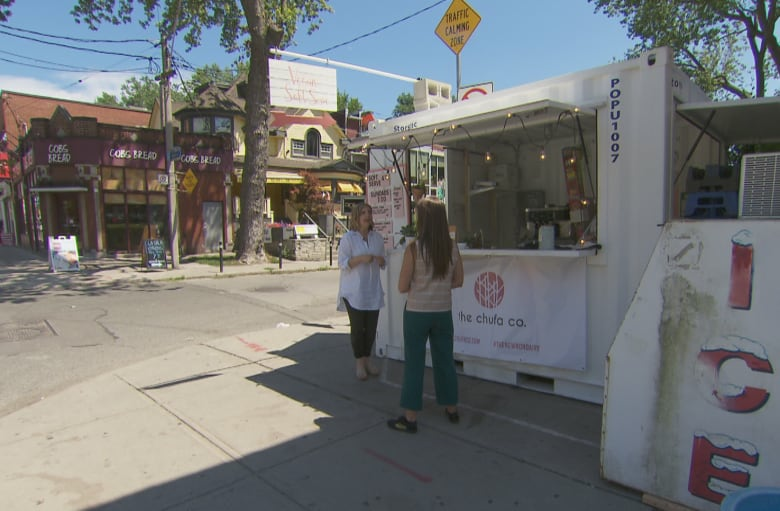 Eventually, she had to set up shop in a shipping container on the property of an existing convenience store on Queen Street East at Waverley Road. But now, people in the neighbourhood are hoping the repeal of a city tax rebate for landlords with empty storefronts will make it easier for entrepreneurs like Orazi to get started. The rebate, which had been in place since 2001, was removed July 1. Many say it's partly to blame for all the vacant stores along the Beach commercial strip, along with rising property taxes and rents. "There was actually a very strong perception by people that the rebate program encouraged landlords to keep their properties vacant, whether that was true or not, the perception was out there," said Casey Brendon, director of revenue services for the city of Toronto. 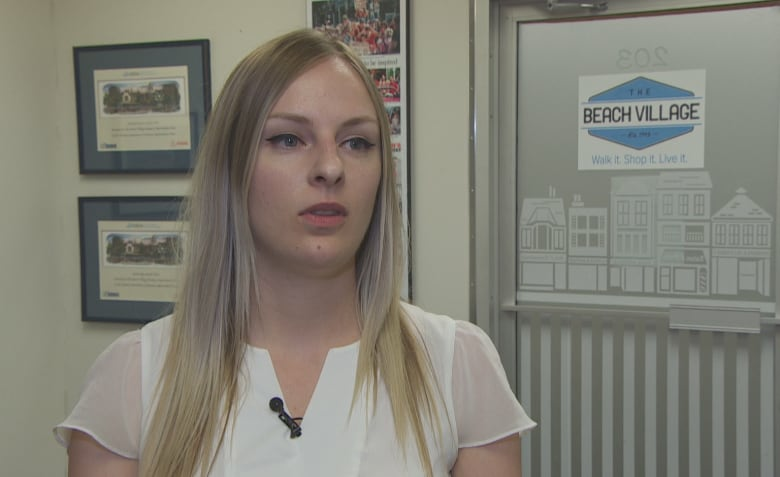 The city says it made the decision to repeal the rebate in 2016 to help depressed retail areas, such as the Beach, where small businesses are having trouble making ends meet. "The idea is to return some of the money from the rebate back to the areas where it's most needed and for small business owners that are facing challenges, where owners are finding it hard to stay in business.," Brendon said. That money cost the city about $40 million yearly, divided between 1,200 businesses. 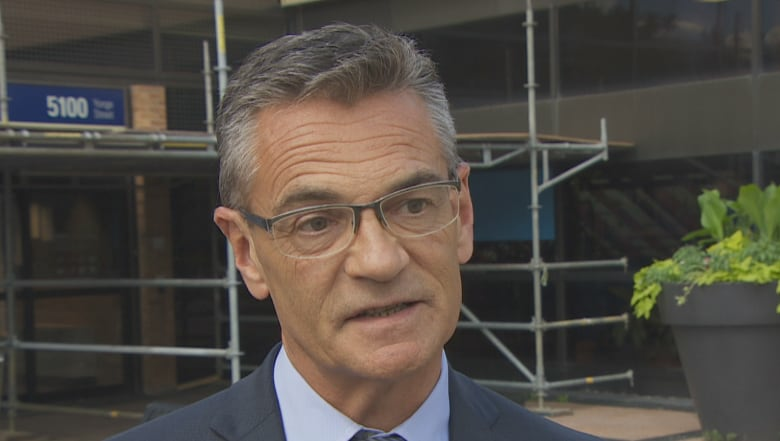 Brendon said the money allocated for each property varied depending on its size and location, but ranged from $3,000 for a small commercial storefront to upwards of $100,000 for an office tower or shopping centre. 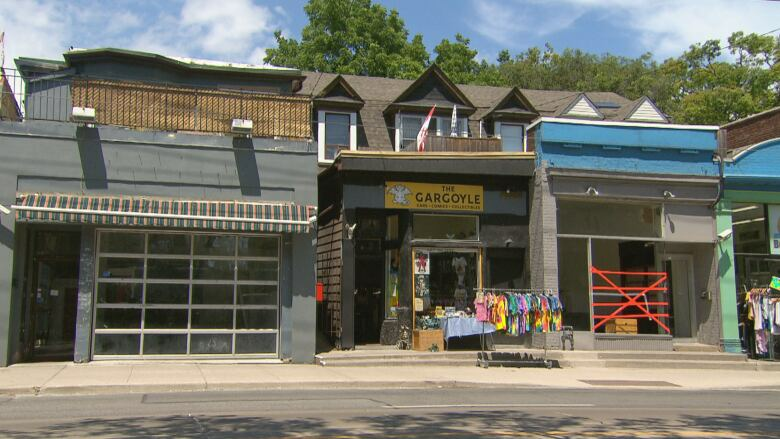 Although a few unique new restaurants and shops have started popping up in the area, the Beach Village BIA (Business Improvement Area) estimates there are around 40 ground-level vacant storefronts in the neighbourhood. "A lot of the empty storefronts, they all have different stories," said executive director Anna Sebert. "You've got people that might be in a legal battle right now — like I said, places that have literally been closed for 20 years." "Over the winter it looked really terrible, really bleak," she said. Ideally, Sebert said she doesn't want to see big chains come in and fill the empty spaces, but rather local entrepreneurs. But she said the issue is getting hold of landlords and getting them to agree to short-term leases, a problem she hopes will be solved now that the rebate program is gone. As for Orazi, she's happy to have a foothold in the neighbourhood. "We didn't know what people would think when we put a huge shipping container on the corner," she said. "The locals welcomed us with open arms; they want businesses like us."